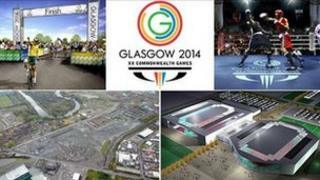 Multi-million pound land deals linked to the 2014 Commonwealth Games in Glasgow are to be looked at by police. The move follows a complaint by SNP MSP James Dornan, who represents the city's Cathcart constituency. He wants to establish whether public money was misused in some deals. In one case a property developer was paid £17m for land which cost him £8m. Another saw former Rangers owner David Murray's company paid £5.1m for land it bought for £375,000 a few years before. Mr Dornan asked for land deals to be investigated in October, when he wrote to Strathclyde Chief Constable Stephen House and Scotland's Auditor General, Robert Black. On Tuesday, a spokeswoman for Strathclyde Police said: "We can confirm that a complaint has been received and enquiries are ongoing." It is understood that one deal to be looked at by officers centres around £17m paid to Mayfair property developer Charles Price for land needed for the athlete's village. His firm was paid £17m for land in Dalmarnock, which is believed to have cost him no more than £8m to buy. Glasgow City Council justified the pay-out on the basis that it had commissioned an independent valuation of the land from surveying firm Colliers CRE. The council had special compulsory purchase powers granted by the Scottish government, which were designed to protect the public purse during negotiations over land needed for the Commonwealth Games. However, the authority chose not to use them against Mr Price's company. Another deal to be studied by officers saw council-owned land given away free to another property developer only to be bought back three years later with £1.3m of public cash. A third transaction which Mr Dornan has asked to be investigated involves a company run by former Rangers owner, Sir David Murray. In 2005, his property firm bought the site of the former Dalmarnock Power Station for £375,000. The site was derelict, contaminated by a cocktail of metals and had been used as a dump by fly tippers. Four years later, the publicly-funded urban regeneration company Clyde Gateway paid Sir David's firm £5.1m for the land. It said an independent valuation had been carried out by a surveying firm. Mr Dornan said he was "very encouraged by the police response to my complaint". "Clearly, the council tax payers of Glasgow have to be confident that public money is being spent wisely," he said. "Any suggestion to the contrary - that public money is not being spent wisely - has to be fully investigated."